HUNGRY ELF UPGRADE A free drink and snack with your seat! SANTA UPGRADE For just $15 extra, grab an exclusive table seat and drink! BALLER ANGEL UPGRADE Alongside exclusive table seating and a free drink, send Basement some extra special love by donating $20 toward Neon Signage at our venue! Add 6 or more Adult tickets to your Cart to the one Show, click to Apply discount and pay only $38 each. Not applicable on any Upgrade tickets. Written by Rose Matafeo and Alice Snedden. Featuring Brynley Stent, Byron Coll and Kura Forrester. Irreverent and subversive, The Basement Christmas Show has evolved from a low-key fundraiser to one of Auckland’s must-do Christmas offerings, described in 2016 by the New Zealand Herald as “as much of an Auckland holiday season staple as Franklin Rd Lights and the Santa Parade”. As the theatre’s only fundraiser, all profits from our Christmas show go into our development programmes for artists, so audience members get the warm Christmas fuzzies, as well as a stonking great night out! "Hungry Elf Upgrade" receive a free drink and snack with your seat! "Santa Upgrade" for just $15 extra, grab an exclusive table seat and drink! "Angel Upgrade" Alongside exclusive table seating and a free drink, send Basement some extra special love by donating $20 toward Neon Signage at our venue! "Santa and Friends Upgrade" Keen to sit and sip in luxury? For just $15 extra per person, grab premium allocated table seating with your group booking, and a bottle of wine (per 6 persons)! Add 6 or more Adult tickets to your cart to the one show, click to apply discount and pay only $38 each. Not applicable on any Upgrade tickets. Or purchase the Santa & Friends Upgrade to receive a discount on Santa Upgrades tickets! 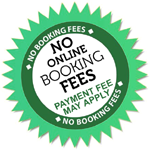 For bookings over 20+ please contact christmas@basementtheatre.co.nz for exclusive deals before booking. Basement Theatre is a Charitable Trust and all profits from this show go back into running our theatre and supporting the development of NZ’s emerging artists.